Today, housing trajectories can be long-term change processes. The entire process, vision, budget and design leading up to the final relocation can take months, sometimes even years. It proves to be very time-consuming to get all employees to cooperate in this change process. WorkWire offers a new solution: workplace nudging. With a few quick, tangible interventions we positively persuade employees to change the way they work. Organisations use different methods to bring about behavioural change. The most rigid form is to impose rules, including the prohibition of certain behaviour. Sometimes imposing rules can work effectively, but it is not suitable for more complex changes. Another way to let employees show new behaviour is to effectively communicate and inform. The idea is to let people consciously choose certain behaviour, the employee requires sufficient information to properly assess the options. Long-term focused organisational goals are often being the challenge. Properly informing employees about the goals of the organisation can help change their attitude. Behaviour is in practice often determined by short-term goals, such as the daily amount of work. A third method for change projects that is often used is the creation of support among employees by communicating with them and involving them in the process. The idea behind it is to let people hear arguments of different parties and better understand and talk about it. Also, it is important that employees can influence the process and understand the final choices. In this way they become intrinsically convinced by arguments that support change, and feel more positive towards the desired behaviour. For large organisations, this is often a complex process because it involves large groups of people. Besides these known methods we now see an addition: “workplace nudging”. This method is aimed at people using small, effective changes to persuade employees to show desired behaviour. Nudging builds on the fact that people do not always make rational and informed choices. In fact, most of the choices we make are done automatically and intuitively (Kahneman, Thinking, Fast and Slow, 2011). This impulsive behaviour is difficult to change by arguments. What appears to work, are small changes in the physical environment. A subtle hint can have a significant behavioural effect. A subtle hint can have a significant behavioural effect. What is nudging and how does it work? Nudging is a method that responds to human impulsive behaviour. Nudging is directed at influencing human behaviour, but does not force a particular choice. All options remain available. Think of the prominent offering of snack tomatoes at the cafeteria, so you are more likely to make a healthy choice. If you want to buy a chocolate bar, which is also possible, you have to search a little further. 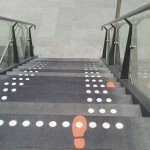 A nudging sample: everyone follows these footsteps. Nudging tries to trick people into a particular choice. This makes it less voluntary than just information. Because the less desirable option remains available, nudging is less compelling than imposing rules or prohibitions. People still make their own choices and will ultimately have a positive feeling about these choices. Nudging is a part of choice architecture. Choice Architecture is the deliberate design of the work environment of people, where the designer is aware of the choices people make continuously in that environment (Thaler & Sunstein, Nudge, 2008). Within the concept of ‘choice architecture’ a ‘nudge’ is a friendly push in the right direction. According to Thaler and Sunstein most people automatically choose the default option. Nudging uses this fact and ensures that this option is supportive to the needs and goals of the organisation. Nudging is often used in marketing and advertising. Even public communication makes use of this technique, mainly focusing on food and health. WorkWire is the first housing consultancy to use nudging for behavioural change at the workplace. We call this ‘workplace nudging’. Workplace nudging is an intervention that delivers fast results. A concrete, relatively simple intervention in the work environment, which provides a certain need, rewards certain behaviour, or triggers the curiosity of the employee and excites to try something new. Introduction of a new work concept such as the new work strategies, often accompanied by many ” You shall … “. People lose their fixed workplace and must work according to new rules. Workplace nudging is not mandatory, but is trying to positively persuade people to make different choices. The WorkWire approach focuses on people and workplace nudging. Nudging does not focus on the building, but on people’s behaviour in the workplace. The key question is how we can make it easier or more fun for them to change the way they work. Workplace nudging allows to intervene quickly and directly. This is always done with a clear goal, we first look at the plans and objectives of the organisation. By specifically naming the desired organisational change and associated behaviour, we can then specifically choose an appropriate nudge. Workplace nudging can be both physical and virtual. 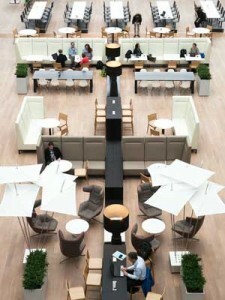 Physical nudges include new features to persuade people to leave their permanent place and make use of meeting places. An event or an app can also be a workplace nudge. Workplace nudging always has a link to the physical environment. This distinguishes workplace nudging from other forms of nudging, for example from marketing. To determine which workplace nudges are necessary, we look at the goals of the organisation. What are the challenges this organisation faces? How can we help an organisation to inspire and motivate its employees? With this focus, we develop appropriate nudges. As a result, in addition to a quick win, a nudging project also contributes to qualitative long(er)-term developments. This form of workplace nudging makes the impact of employee behaviour visible. Continuously and objectively it is made clear what the consequences of this behaviour are for the organisation’s objectives. An organisation that strives to be more sustainable and use less energy can put up a display continually showing the current energy consumption at the workplace. If the result is often in the red zone, this will encourage people to use less energy. Another example is an organisation that aims to increase customer satisfaction. By showing employees how many customers were satisfied that day, employees try significantly harder to get good results in this section. In an organisation that wants to focus more on goals, employees can be inspired everyday by placing a nudge in the entryway that visualises the ambition of the organisation. Another way of visual feedback is showing success at the workplace. This creates a positive atmosphere and makes people proud of the organisation they work for. Important in this form of workplace nudging is that the successes are visually mapped. No additional action is required from the employees. It is aimed at influencing the unconscious attitude of the people. A useful example is a “Wall of Fame”, showing the best results of the month. People like to see what others are doing and tend to follow this behaviour. Also, people want to be seen and gain appreciation for their work. It is important to reward exemplary behaviour and make it visible. A second form of workplace nudging is deploying apps that affect behaviour at the workplace. One of the more difficult changes with the introduction of flexible working concepts is to make people no longer automatically walk to their (previously fixed) workplace. To change this habit, an app can be deployed that people can use on their smartphone, before they enter the office. This app can give suggestions like available workplaces, or show in which room you can work most efficiently that day (linked to a calendar). A webcam could help gain insight and show how busy the flex lounge or work café is. Workplace Apps are also very suitable to use for play and competition. People are very sensitive to what others do, especially when they identify with them. Using an app that shows people what their peers are doing, or how their results compare to other employees, can help guide organisational behaviour. Such an app can also reward people for certain behaviour, let people earn points, have a ‘like’ button, achieve a higher “level” in a game, etc. For all kinds of goals apps can be custom-developed. For example, if an organisation wants to create more interaction between employees, a coffee date app can be used, that combines any two people to drink a cup of coffee together. Employees often find it difficult to suddenly change behaviour in familiar surroundings. A newly designed space can be refreshing and inviting, and help employees to let go of ingrained patterns. This third form of workplace nudging persuades employees to the desired behaviour with a new arrangement. Think of an area that is specifically designed to meet, learn, collaborate, or use in silence. Or wide stairs so you do not block the stairs when you just take a moment to talk. Such spaces are arranged so people automatically show the desired behaviour using minimum effort. For example, for an organisation with a strong focus on learning agility, it can be very useful to set up a specific space as a study or library. Or think of a lab to practice and try things. For other objectives specific areas can be identified as well, such as a modular designed project space for the organisation that wants to work flexible or an attractive meeting place for organisations that want to encourage people to frequently contact each other. The new RWS flex lounge persuades employees to find a temporary workplace. An example of Workplace nudging is the recent reorganisation of the Rijkswaterstaat Office at Westraven, Utrecht. During several rounds of interviews with managers and employees, one of the biggest worries before the reorganisation of the services in the building, was too few workplaces available for the regular employees of the location. On certain days of the week many visitors and colleagues from other locations on site are making it hard to find a place to work. To solve this, WorkWire has set up a special flex lounge. An attractive place to discuss and meet, but also to work a day for employees who come to Utrecht for an appointment. This flex lounge persuades employees not to use the workstations of Utrecht colleagues by offering them an attractive alternative where they can feel welcome. WorkWire has commissioned a study on which elements of workplace nudging are being presently used within organisations. The respondents are working in various sectors: business, non-profit, government, SMEs and self-employed. The majority of respondents (62.6%) have a flexible workplace. Of this group, nearly one-third mostly works at the same place. A majority of respondents (69.7%) expect that over the next three years organisation changes will take place, almost a quarter even expects big changes. We asked the respondents if the organisation offered facilities for special activities (see illustration below). The highest scores seen at the facilities are ‘informal shared space‘ and ‘findability of colleagues‘, a large number of respondents find these sufficient. 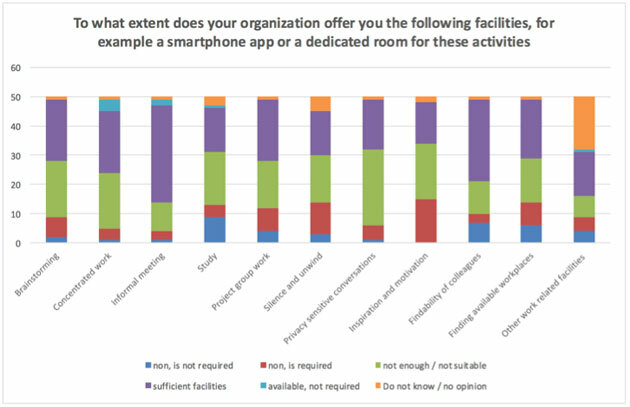 Many respondents find insufficient or unsuitable facilities for ‘privacy-sensitive conversations’, ‘brainstorming‘ and ‘concentration work‘. Furthermore, the respondents find that facilities for the activities: ‘silence, and unwind‘ and ‘inspiration and motivation‘ are not likely to be found but preferred the most. When asked which activities they would like additional facilities, for many people say they desire soundproof communication places. This is necessary for sensitive private conversations and reduces the noise for colleagues. Another wish of many respondents are spaces for concentration work. It is clear that people at their current workplace often experience inconvenience by conflicting activities such as phone calls and concentration work taking place in the same room. When asked what resources the organisations use, and after showing how their work contributes to the goals, intranet scored highest. More than half of the respondents indicated that intranet is used in their organisation. One third of the respondents indicated that their organisation does not use intranet, or is not aware of this resource. That is a remarkably high number. From the above results it may be concluded that there are many opportunities to implement workplace nudging. 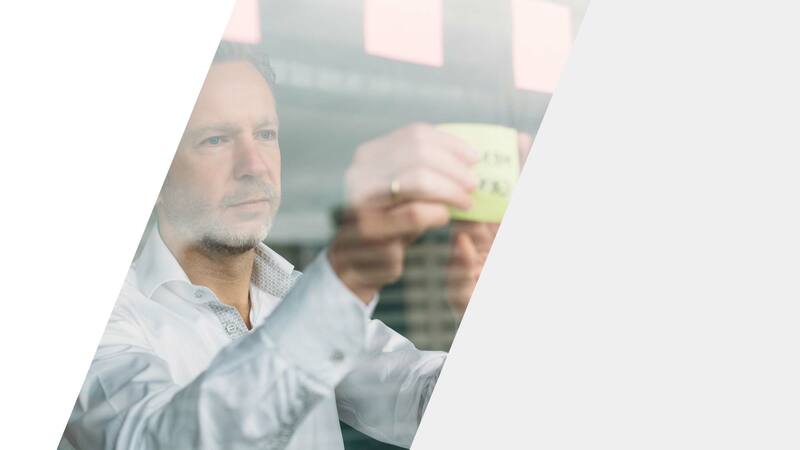 For organisations that represent a change process in the near future, it is useful to see what can be achieved by using short, positive nudges. It is also interesting to see if new workplace nudges can be developed for the specific needs that have emerged from this research, such as ‘silence and unwind‘ and ‘inspiration and motivation‘ places. Finally, it has been found that organisations currently only make limited use of visual feedback. Besides intranet, organisations can make better use of special workplace apps. Workplace nudging can be used as a supplement to a long-term trajectory housing, but also as a self-contained intervention. It is important that a workplace nudge is always focused on the organisation’s objectives. Determining which of the nudges are most appropriate, is unique and dependant of the goals and challenges of the organisation. It cannot be predicted how employees respond to the deployed nudges. Therefor pilot studies are conducted to find out which nudges work best, ultimately the most effective nudges will be selected and introduced. A big advantage of workplace nudging is that it evokes little resistance among employees. Major change often leads to resistance, because it entails many uncertainties which lead to anxiety among employees. Workplace nudging is always about small changes, which are not mandatory. The employees are tempted to try out new facilities, in a positive, inviting and inspiring way.